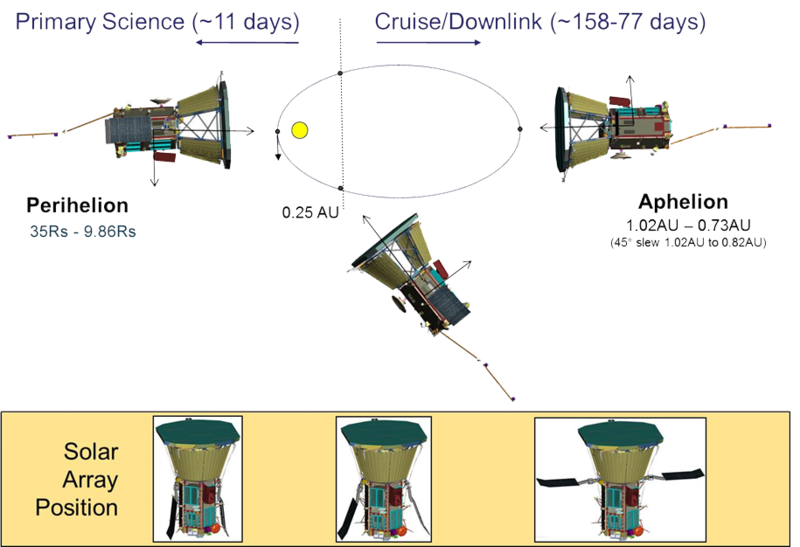 Parker Solar Probe has successfully completed its second close approach to the Sun, called perihelion, and is now entering the outbound phase of its second solar orbit. 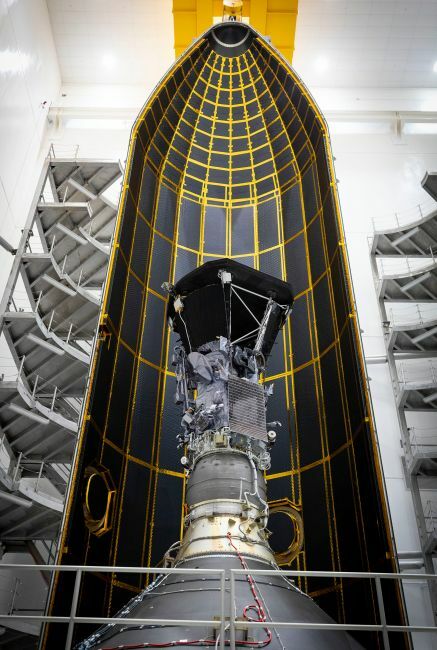 At 6:40 p.m.
Where is Parker Solar Probe? 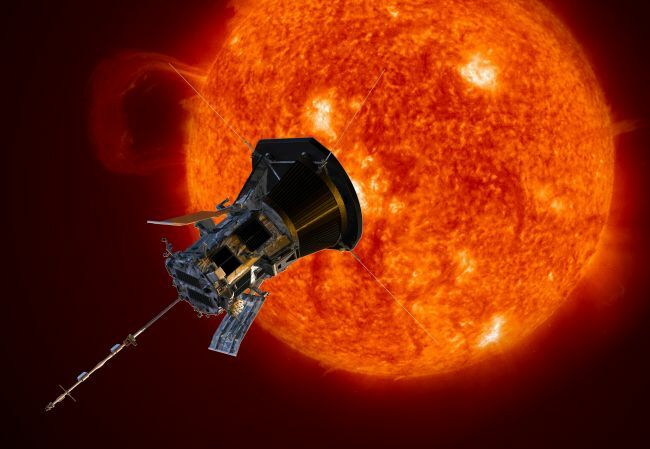 Parker Solar Probe will swoop to within 4 million miles of the sun's surface, facing heat and radiation like no spacecraft before it. 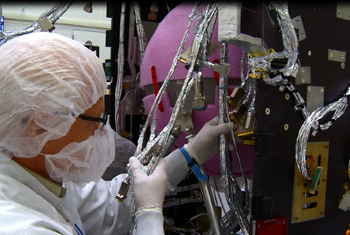 Launching in 2018, Parker Solar Probe will provide new data on solar activity and make critical contributions to our ability to forecast major space-weather events that impact life on Earth. 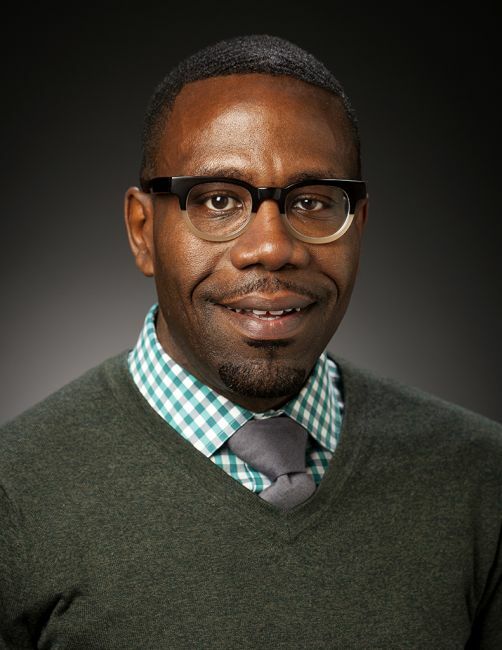 In 2017, the mission was renamed for Eugene Parker, the S. Chandrasekhar Distinguished Service Professor Emeritus, Department of Astronomy and Astrophysics at the University of Chicago. In the 1950s, Parker proposed a number of concepts about how stars—including our Sun—give off energy. He called this cascade of energy the solar wind, and he described an entire complex system of plasmas, magnetic fields, and energetic particles that make up this phenomenon. Parker also theorized an explanation for the superheated solar atmosphere, the corona, which is – contrary to what was expected by physics laws -- hotter than the surface of the sun itself. 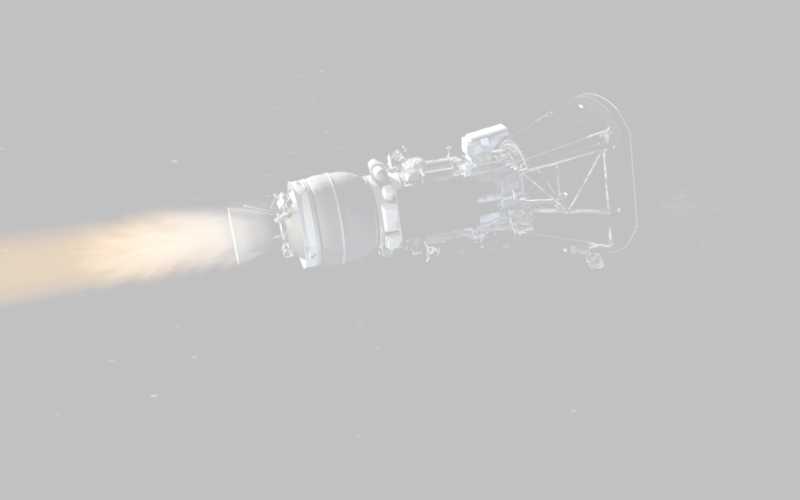 This is the first NASA mission that has been named for a living individual. The sun is a dynamic star. We live in the sun's atmosphere! 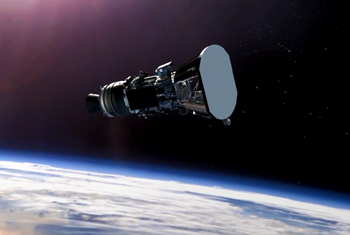 This mission will provide insight on a critical link in the Sun-Earth connection. Data will be key to understanding and, perhaps, forecasting space weather. 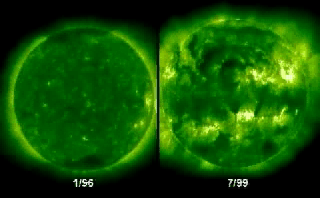 the corona is unstable, producing the solar wind, flares and coronal mass ejections – we need to study at the source! millions of tons of highly magnetized material can erupt from the sun at speeds of several million miles an hour – fast enough to get from Washington to LA in seconds! Why is the corona hotter than the surface? Why is there a solar wind? 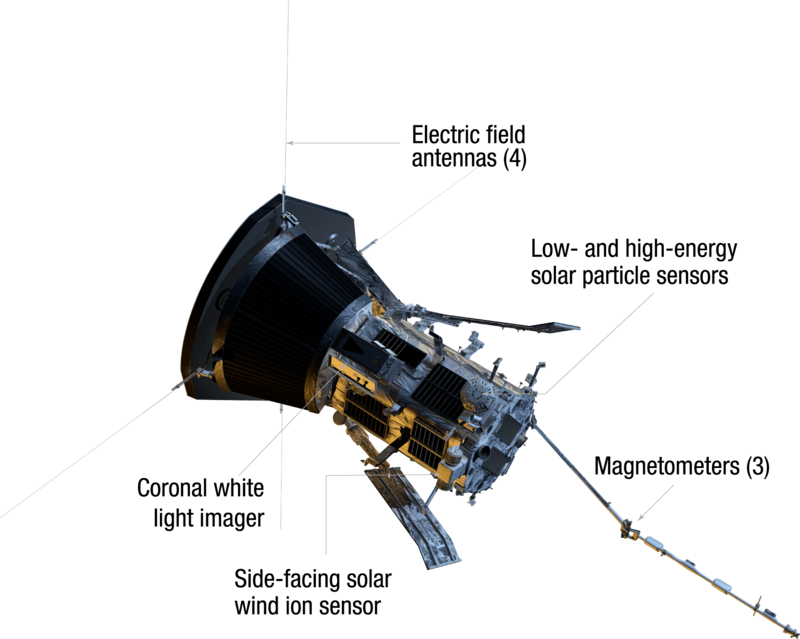 The concept for a "Solar Probe" dates back to "Simpson's Committee" of the Space Science Board (National Academy of Sciences, 24 October 1958). Why is the solar corona so much hotter than the photosphere? 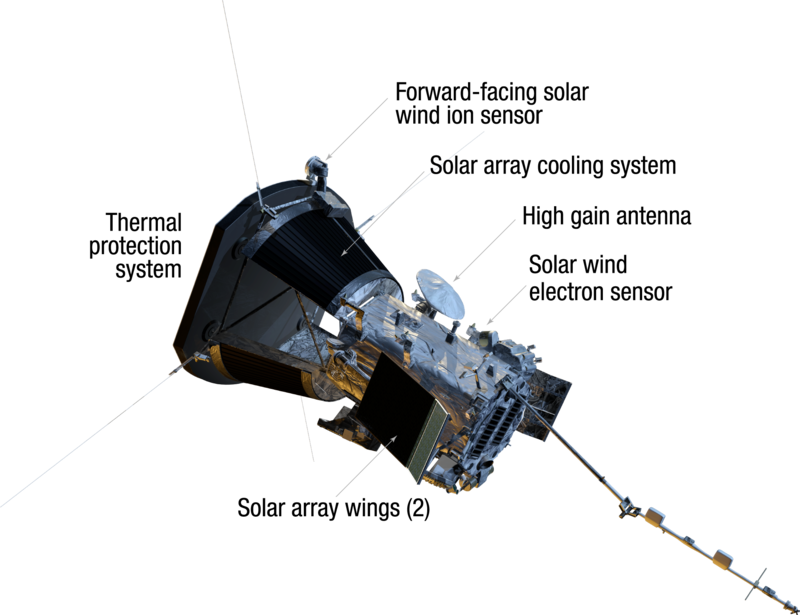 The answers to these questions have been of top priority in multiple Roadmaps and Decadal Surveys. We live in the atmosphere of the sun. 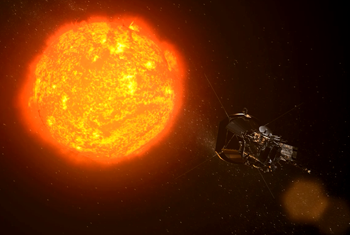 NASA's historic Parker Solar Probe (PSP) mission will revolutionize our understanding of the Sun. 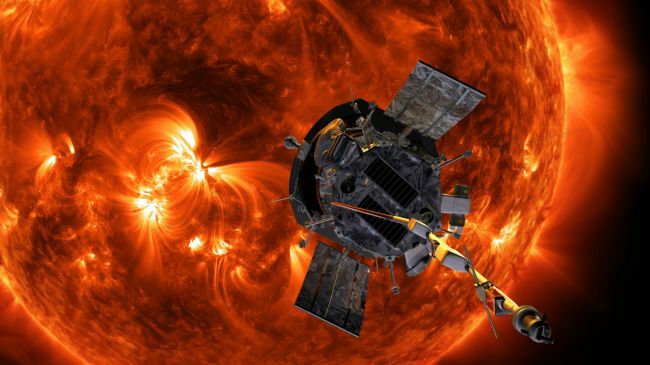 PSP will swoop closer to the Sun’s surface than any spacecraft before it, facing brutal heat and radiation conditions. 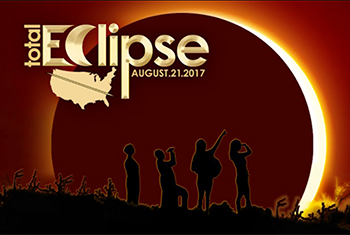 NEVER look at the sun directly without proper solar glasses or filters -- you can severely damage your eyes. Make this marbled paper that looks just like our sun using shaving cream and food coloring. In this activity, see for yourself how sunscreen can be used to block the sun's ultraviolet light rays using sunscreen and colored paper. Use candy pieces and a cookie to make an accurate model of the Sun that you can eat! Create a magnetometer to monitor changes in the Earth's magnetic field for signs of magnetic storms and explore how forces can act over a distance with a sticky tape static electricty experiment. 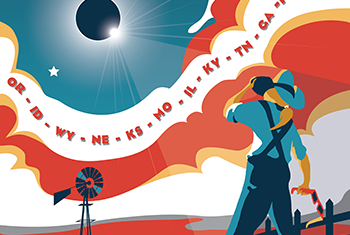 Here you will find activities, events, broadcasts, and resources from NASA and our partners across the nation. 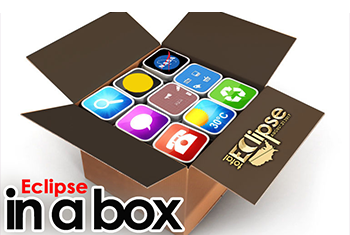 You will find a variety of products designed to enhance your knowledge, celebration, and observation of the total solar eclipse. 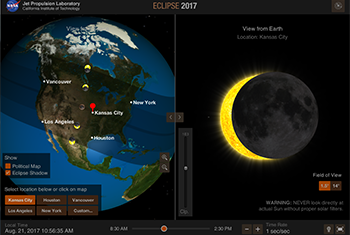 In this interactive, 3D simulation of the total eclipse of August 21st, 2017, you can see a view of the eclipse from anywhere on the planet.